What was your information and what is your information? Read more about What is personal and what is corporate? ARKDIS project was a co-organiser of this year's Computer Applications and Quantitative Methods in Archaeology Sweden (CAA-SE) conference in Lund in December 2-4, 2013. We were altogether over 60 participants and had an interesting programme for three days. The 18th incarnation of the Conference on Cultural heritage and new technology (CHNT18), earlier in its prehistory known as workshop Archäologie und Computer had several tracks, but somehow it seemed that the two main themes that have been prevailing for the last 15 or so years are still going strong: 3D and data management. There is something rotten in the state of (I)KM? I have to admit that I participated only the second time (the first time was the first ever conference in Charlotte, NC in 2004) in the International Conference on Knowledge Management (ICKM) 2013 held this year together with ASIS&T 2013 Annual Meeting in Montreal. In spite of this I have followed rather closely the conference and its programme, and also worked at the programme committees of several past conferences. Read more about There is something rotten in the state of (I)KM? Europeana as a research tool? I had an opportunity to participate in a workshop organised by the Europeana Cloud project on how Europeana could better support social science research. The workshop was attended besides myself and people from the project by a group of (mainly) Scandinavian social science researchers. Read more about Europeana as a research tool? "CAA Sverige är en officiell del av internationella CAA (Computer Applications and Quantitative Methods in Archaeology) och den andra nationella konferensen kommer att äga rum i Lund. Vi vill härmed bjuda in alla intresserade av användningen av digitala redskap inom arkeologi till en givande konferens. Information literacy as thing, as power, as something else? The information literacy track of the CoLIS 8 conference has presented a number of interesting papers on studying and conceptualising various forms of information literacies in different contexts. 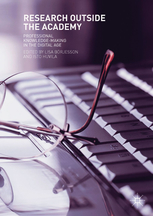 Read more about Information literacy as thing, as power, as something else? Luciano Floridi's claim that Plato is the best guide to the problems with Big Data was in many ways exemplary of my souveniers of this years CoLIS 8 conference (in Copenhagen) so far. Many presenters have raised important questions and provided at least very good preliminary answers to varying questions about what different information things are about. Read more about Around information? 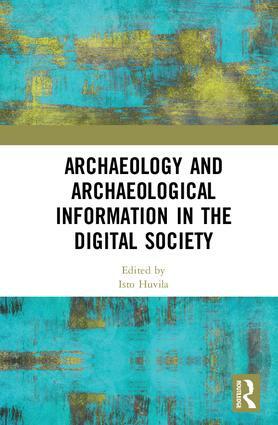 "Huvila’s book is a stimulating, thought- provoking analysis of contemporary information culture which challenges many accepted ideas about ‘new users’, technologies, participation and how we find and know things."